We are starting to look forward to a bit of sunshine and warmer days, so this week, we’re looking at hugely romantic dusk weddings. Summer is the traditional season in which to wed, so we love the idea of a slight twist on the expected, and we recommend inviting your family and friends to celebrate with you at a magical dusk wedding this summer. 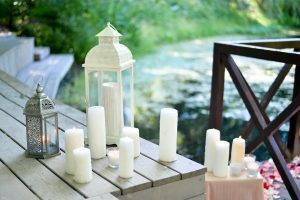 We’ve come up with our top reasons for planning a late afternoon ceremony for your summer wedding. 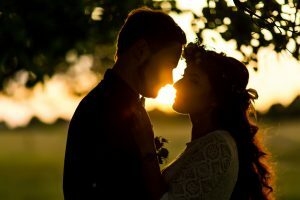 We think dusk is the ideal time to marry as you have the benefit of almost an entire day in which to get yourself ready! Forget all the rushing around to try and be ready for a late morning ceremony, and having to be in hair and makeup before you’ve even had breakfast! Instead, opt for a laid-back, leisurely day of wedding preparations and the avoidance of all last minute panics!  Your guests will love the fact that they don’t have to rush to arrive, and instead, can check into their overnight accommodation and even get ready at the venue instead of having to travel in their wedding outfits. For the bride and her attendants, there’s ample time to indulge in a morning massage or manicure or to go for a relaxing walk or swim to calm those wedding nerves, safe in the knowledge that you’ve still got plenty of time to pamper yourself before your wedding ceremony. For us, dusk is the most magical time of the day. There’s a fleeting moment between daylight and nightfall when the light seems to stand still, creating a wonderful ambience and the absolute essence of a British summer’s day. If the day has been hot, by sunset the temperature will have fallen, meaning it’s a more comfortable time to be wearing a beautiful wedding gown. There’s nothing worse than feeling trapped in a fabulous dress, getting sweatier and more uncomfortable with every passing moment. At sunset, the sky is awash with magical colours providing a wonderfully beautiful, natural backdrop for an outdoor ceremony. It’s the most wonderfully romantic setting for a memorable event for the bride, groom and your guests. Once you’ve exchanged vows, you and your guests can enjoy dinner and drinks by romantic candlelight, enjoying the transient mood as day turns into night. 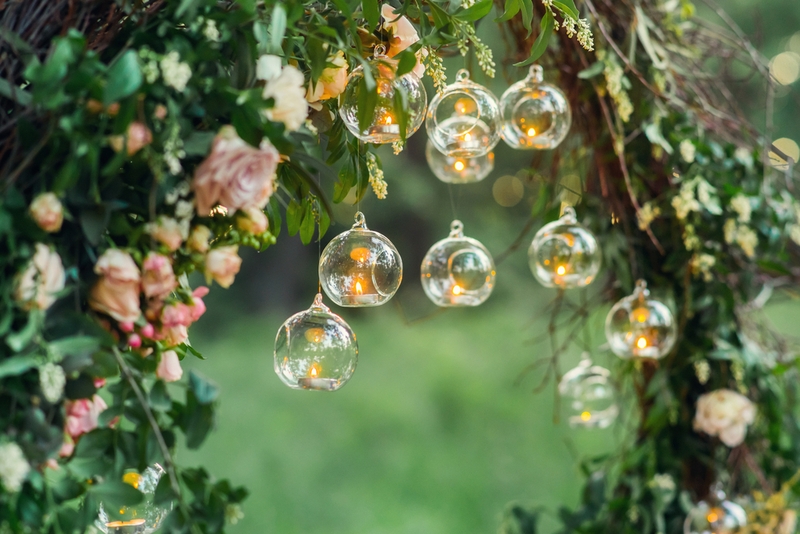 Decorate your venue with hundreds of tiny tea lights, fairy lights and pillar candles to capture the romance of the evening. 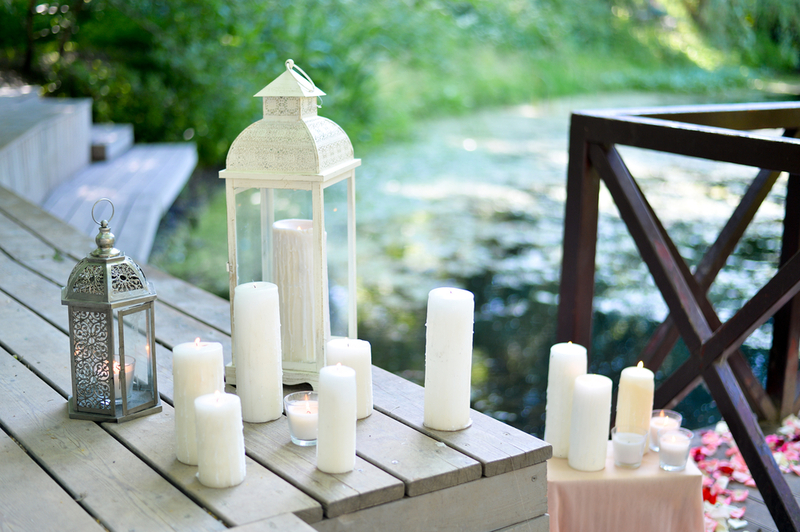 And for a really gorgeous mood, dot scented candles around your reception venue and dinner tables. Rich floral scents work wonderfully on a warm summer’s evening or choose herbal scents such as rosemary and lavender to evoke memories of an English country garden. 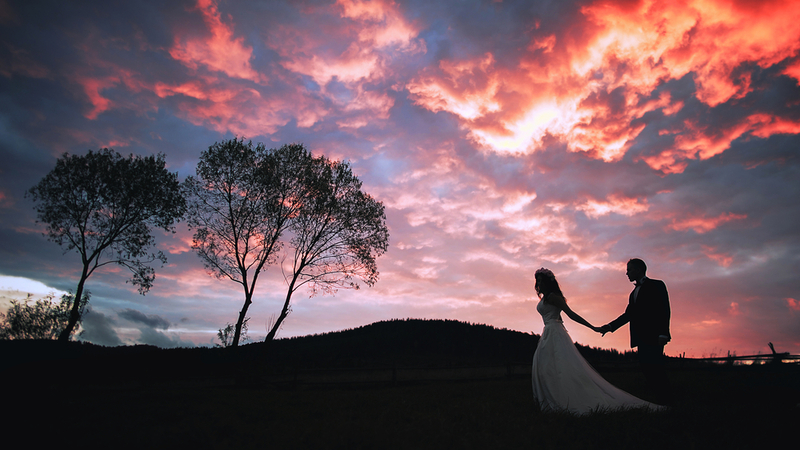 Your photographer will be able to advise on how best to capture the mood of a romantic dusk wedding. Reduced sunlight and changes in lighting mean you need to plan your shots carefully to make sure you maximise the gorgeous setting at exactly the right moment. We recommend meeting your photographer to discuss how you want your dusk images to be captured, and what shots you’d like taking both before and after the ceremony. We think a hazy, soft focus wedding photograph is a perfect image that is ideally suited to dusk ceremonies. A sunset will provide an amazing natural backdrop for your images, and involve stunning colours and effects that simply aren’t achievable at other times of the day. We mostly love a dusk wedding simply because it’s something a little different and unexpected. We embrace all new bridal trends and love it when our couples opt for something a little out of the ordinary. For us, a dusk wedding gives couples the perfect opportunity to break with tradition. Whether you’re planning an indoor or outdoor ceremony, the magical, beguiling sunset hour is a truly stunning and romantic choice. At Woodhall Manor we can provide lots of inspiration if you’re planning a dusk wedding and would love to help you create your perfect day. Why not give our amazing wedding planners a call today on 01394 411 288 or email info@woodhallmanor.com to book a private tour of our stunning country Manor house.